What Are Sweet Water Pearls? 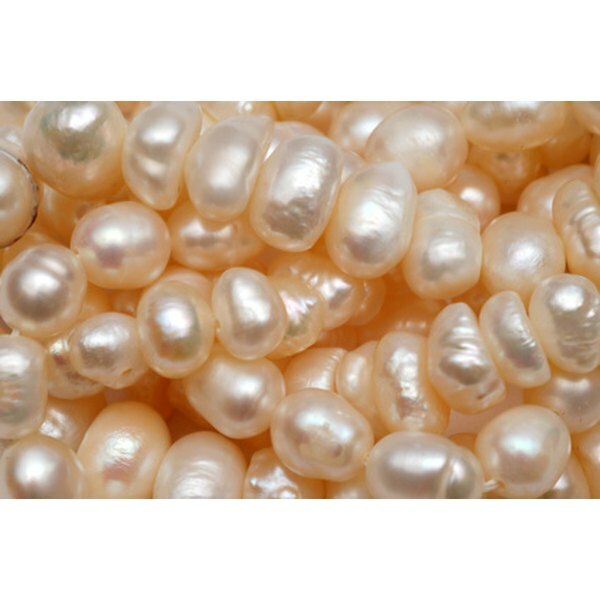 Find out if you have cultured or natural pearl strands by conducting tests. 3 What Are Sweet Water Pearls? You may have bought pearl jewelry online or at a retail store; in which case, you are likely to know exactly what you purchased. You may have pearls given to you as gifts by relatives or friends and do not know the type. They could be cultured pearls grown under controlled conditions by pearl farmers. They may have been bleached and perfectly shaped when harvested. Or, they could be natural pearls, which do not require human assistance but must be searched for and harvested in the wild. Cultured and natural pearls can be either freshwater or saltwater pearls. Oysters create saltwater pearls and mussels produce freshwater pearls. It is possible to conduct a few basic tests to determine the type of pearl you own. Place a strand of pearls in direct sunlight. All-natural pearls will not be perfectly matched. The sun will allow you to see the differences in the color, shape and size. Use a jeweler's loupe to examine the pearls. If each pearl on the strand is identical, they are not natural pearls. Look inside the pearl's drill hole with a jeweler's loupe. If you notice a dark line that separates the nacre from the bead nucleus, it is a cultured pearl. Natural pearls contain a series of lines that continue toward the center of the pearl. Also, when a black deposit is seen in the center of a white pearl drill hole, it is natural. Put a strand of pearls at the front edge of a desk lamp. Allow the light to beam through the pearls but not into your eyes. Slowly rotate the strand and notice if you see the pearls blinking from a light to a dark color. The dark color is the result of thick mother of pearl layers on the shell, which stops light from penetrating. If blinking occurs as you turn the strand in the light, the pearl is cultured. Run your strand of pearls along the bottom of your front teeth. 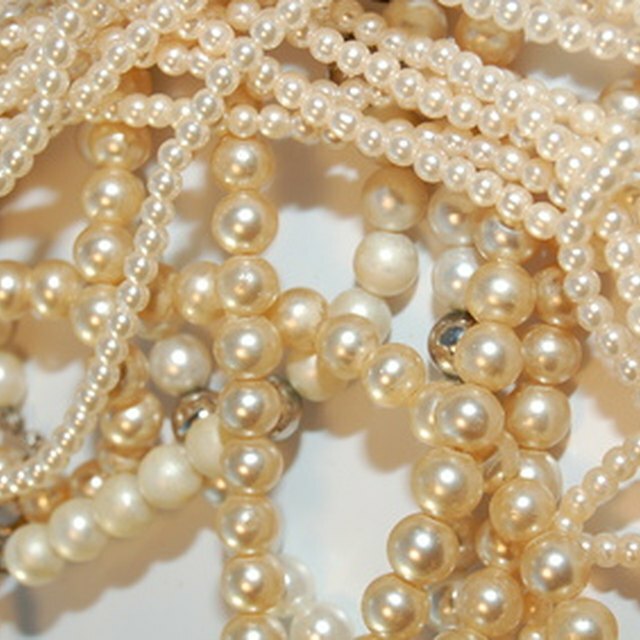 If the pearls lack a grainy or sandy feel, it is likely to be fake jewelry. Cultured and natural pearls will never be completely smooth. Hard plastic materials can imitate the look of natural or cultured pearls. Use a magnifying glass if you do not own a jeweler's loupe. Kahns Jewellers: Have You Tried the Tooth Test? Based in Florida, Jackie Rowson has been writing online content since 2007. Her work has appeared in "Natural Awakenings" and she maintains a weekly column on religion and spirituality. She holds a Bachelor of Arts in English from the University of West Florida. Rowson is also a certified personal trainer with the International Sports Sciences Association.